Mounts into the miter t-track on your router table. The MDF/Melamine base supports your workpiece as it pivots on the center pin. 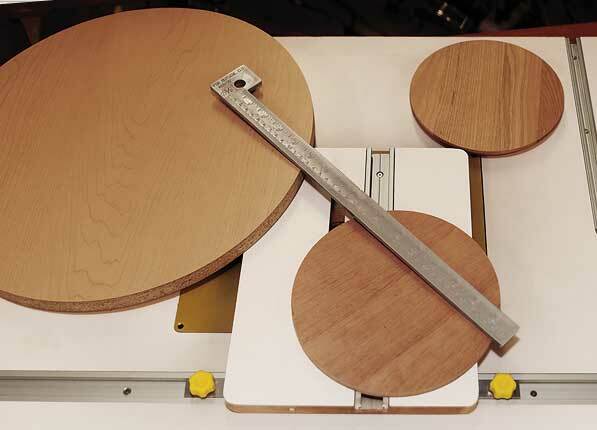 You can make circles as small as 2-1/2" and up to 32" on the MLCS "Router Table Top". On other router tables, the overall circle diameter will depend on the distance from the router bit to the end of your miter t-track. Includes a handy measuring accessory, designed to work with a 1/2" diam. or smaller straight bit, to give an easy, exact circle radius.